Leading Nordic banks DNB Bank ASA, Danske Bank A/S, Nordea Bank AB (publ), Svenska Handelsbanken AB (publ) and Skandinaviska Enskilda Banken AB (publ) have decided to explore the possible establishment of a Nordic Know Your Customer (KYC) infrastructure that would, in initial phase, service large and midsize Nordic corporates. In recent years, compliance with requirements for processing customer data has become a critical component in fighting financial crime. Bank customers are, however, struggling with time-consuming KYC information requirements, often including many banks and formats. Inefficient KYC processes also impact banks negatively, slowing down transaction processes, and increasing administration and risks. At the same time, the banking community is continuously facing more regulations and requirements related to KYC processes. There is hence a need for a consolidated, efficient and accurate way to serve customers, banks and society. The banks intend to set up a joint venture, Nordic KYC Utility, with a singular focus on developing an efficient, common, secure and cost-effective Nordic KYC infrastructure. The company will be owned and controlled by the founding banks, however, the plan is that the company will also offer its services to third parties. The initiative will contribute to ensuring a healthy financial environment, prevent financial crime and to protect customers and society. “I see great value in simplifying this process and making it common for all banks. We can compare for example with mobile bank-id which is also infrastructure that is common for all banks. 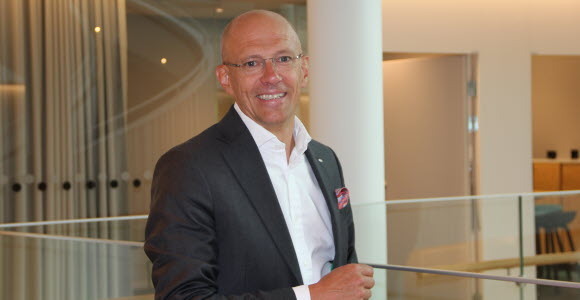 By establishing a common service, we can enhance the quality and the efficiency in the know-your-customer process and set distinct and uniform standards that correspond to demands from customers, banks and society,” says Stefan Stignäs, head of Corporate Market within Corporate and Private Customers. The establishment and operational start of the joint venture company is conditional upon approval of the European Commission under the EU Merger Regulation and the company is expected to be established during the second half of 2018. SEB is a leading Nordic financial services group with a strong belief that entrepreneurial minds and innovative companies are key in creating a better world. SEB takes a long-term perspective and supports its customers in good times and bad. In Sweden and the Baltic countries, SEB offers financial advice and a wide range of financial services. In Denmark, Finland, Norway, Germany and UK the bank's operations have a strong focus on corporate and investment banking based on a full-service offering to corporate and institutional clients. The international nature of SEB's business is reflected in its presence in some 20 countries worldwide. On March 31, 2018, the Group's total assets amounted to SEK 2,903 billion while its assets under management totalled SEK 1,854 billion. The Group has around 15,000 employees. Read more about SEB at http://www.sebgroup.com.